Samford University’s existence would not be possible without the help of its founders and generous benefactors. Learn about our founders' legacies here. Samford University’s existence would not be possible without the help of its founders and generous benefactors. General Edwin D. King (?-1862) was a planter, businessman and philanthropist based in Marion, Alabama. Present at the founding of Howard College, King was one of its first financial backers and trustees. King also aided in founding the Judson Female Institute (Judson College) and The Alabama Baptist. Edwin King was born in Georgia, to a wealthy family of planters that stretched from the tobacco plantations of Virginia and North Carolina to the prairie frontier of Alabama. King served in the Georgia militia during the War of 1812 and fought with General Andrew Jackson at the Battle of New Orleans in 1815. King later received the rank of major general in the Alabama militia. After the war, King moved to Perry County, Alabama, in 1816, where his brother, Elisha F. King, had already established a large cotton plantation. Although Edwin also became a cotton planter with thousands of acres and hundreds of slaves, it was his investments in local businesses and schools that consumed much of his time. King served as trustee to the University of Alabama and served the Alabama State Baptist Convention in many capacities, whether as an officer or the chair of a committee. The president of the University of Alabama, Basil Manly, Sr., introduced King to Milo P. Jewett, an educator from Vermont who had moved south to establish a seminary for young women. King, along with Julia Tarrant Barron, helped Jewett found the Judson Female Institute in 1838 with King serving as its first trustee chair. Judson’s first class included two of King’s daughters. Edwin D. King died in 1862 in Marion, and is buried in that city’s cemetery. His son, Porter King, continued the family’s connection with Howard by serving as a long-time trustee after the Civil War. Born September 24, 1813, in Oneida County, New York, J. H. DeVotie was the son of an irreligious frontier farmer and a pious Presbyterian mother—the latter shaping his educational and religious values. He converted to Christianity in 1830, and the following year moved to Savannah, Georgia, and lived with a merchant uncle who was a devout Baptist. The young DeVotie rejected several of the tenets of his Presbyterian upbringing and was baptized via immersion on Sunday, December 4, 1831, by H. O. Wyer, the pastor of the church in Savannah. Immediately feeling the call to preach, DeVotie moved to High Hills Santee in South Carolina to study at the Furman Theological Institute and supplied the pulpit at nearby Camden. Following what he later described as an “unfortunate misunderstanding” with members of the faculty, DeVotie left the school after eighteen months. Nonetheless, in March 1833, he was ordained at Camden and assumed the pastorate of the church. By September 1834, DeVotie was in Montgomery, Alabama, initially preaching two Sundays each month at the Baptist church and later every Sabbath. The year in Montgomery proved to be a stormy one for the twenty-one-year-old minister, who found himself at odds with his congregation over a number of issues, including his marriage to a non-Baptist, Margaret Christian Noble, who was condemned for being too “devoted to fashion.” This, along with DeVotie’s Yankee brashness and youthful fervor, led to his dismissal in May 1835. Discouraged, he decided to quit the ministry, but the Rev. Alva Woods, president of the University of Alabama, persuaded DeVotie to accept the pulpit at First Baptist, Tuscaloosa, where he remained four years. In 1840, he became pastor of the thriving Siloam Baptist Church in Marion and worked tirelessly for Howard College during his fourteen-year tenure. He would later be given an honorary degree from the college. In 1856, he was called by First Baptist, Columbus (Georgia). During his tenure in Columbus, and later at the Baptist church in Griffin, DeVotie emerged as one of the most important leaders in the Georgia Baptist Convention. He died on February 16, 1891. 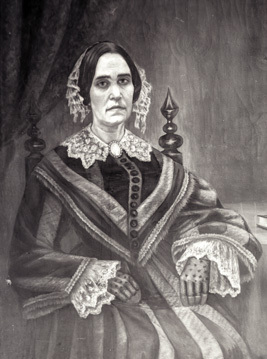 Julia Tarrant Barron (1805-1890) played an important role in Alabama Baptist history. She was born in South Carolina but moved with her family to the Alabama Territory at a young age. In 1828, she married William Barron, a prosperous businessman in Perry County. About a year later, Julia gave birth to their only son, John Thomas Barron. William died in 1832, leaving Julia with a large estate. In 1841, James H. DeVotie, the pastor at Siloam Baptist Church, is believed to have discussed the idea of starting a college for men with Julia and other Baptist leaders. Although the specifics of her role in the founding of Howard College is not known, she is believed to have taken part in recruiting Samuel Sterling Sherman as the college’s first president and is credited with being at the head of the donors list. The Alabama Baptist, a newspaper she co-founded, credits her as being the first donor to the new school. Julia’s son, John Thomas, became one of the original 9 students to attend Howard College and was the first to graduate from the school in 1848. After graduation, he became a physician in Marion and continued to support Howard as a patron and a trustee. When the campus was destroyed by fire in 1854, J. T. Barron was listed on the roster of contributors as donating $2,000. However, tradition says it was Julia Barron who gave the land for the school to be rebuilt. During his presidency at Howard College, Dr. John C. Dawson asked Julia’s granddaughter, Olive Barron Becker, to paint Julia's portrait for the school. The portrait now resides in the Special Collection department at the Samford University Library. It was presented to Howard College, now Samford University, in December 1945. In February 1946, an unveiling ceremony was held in Reid Chapel to commemorate Julia Barron’s significant role in the history of Alabama Baptists and the university. Milo P. Jewett (1808-1882) was a clergyman and leading advocate for women’s education in the mid-nineteenth century. Although he is counted as one of the founders of Howard College, he is better known for establishing its neighbor, Judson College, in Marion, Alabama, and serving as its first president. After leaving the South for political reasons in 1855, Jewett helped found Vassar College in New York. Born in St. Johnsbury, Vermont, in 1808, he graduated from Dartmouth College in 1828. He entered Andover Theological Seminary the following year and while there, began to lecture for the cause of common (public) schools in New Hampshire, Massachusetts and Connecticut. After seminary, Jewett moved to Ohio to serve as a professor at Marietta College; because it was a Presbyterian institution, Jewett obtained his preaching license from the presbytery. He married Jane Augusta Russell in 1833. In 1838, Jewett was baptized into the Baptist church and felt obligated to resign his post at a Presbyterian college. Six months later he moved to Marion, Alabama, where he oversaw the establishment of a seminary for young women with the support of the local Baptist church, Siloam. The seminary, called the Judson Female Institute, was named for Alabama’s first female foreign missionary. It opened its doors in 1839, with Jewett as its president. During this time, proponents of Baptist education in Alabama resolved to open a theological college for men. In 1841, Jewett met with Julia Tarrant Barron, E. D. King and James H. DeVotie to discuss the matter, and during that meeting Howard College was founded. While at Judson, Jewett also helped to found, edit and print The Alabama Baptist, a weekly newspaper and church periodical. By the 1850s, it was clear Jewett’s abolitionist beliefs did not fit in with the goals of the Southern Baptist Convention. Jewett resigned from Judson in 1855, and moved to Poughkeepsie, New York, where he advised Matthew Vassar in the development and chartering of Vassar Female College. Jewett was appointed the college’s first president, but he never took the post due to disagreements with Vassar and the trustees. Jewett then moved to Milwaukee, Wisconsin, where he remained active in education until his death in 1882. 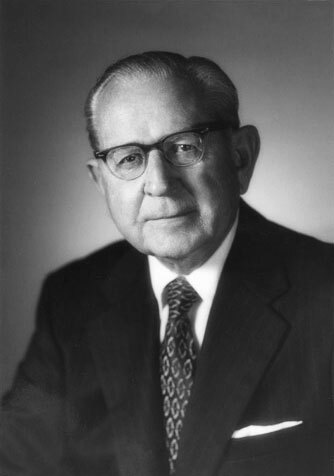 Ralph Waldo Beeson (1900-1990), son of Dr. John Wesley Beeson, president of Meridian College, graduated from Emory University in 1920. He joined Liberty National Life Insurance Company in Atlanta, Georgia, in 1921. After several years selling insurance, he switched over to automobile distribution at Ford Motor Company in 1923. Ultimately, he returned to Liberty National in 1926 and transferred to Birmingham, Alabama, in 1927 to serve as the assistant secretary at the company. In 1942, he began his service in the U.S. Naval Reserve for the duration of World War II. After the war he became a director at the Veterans Administration in Richmond, Virginia, helping to organize the Insurance Service in their branch offices. Beeson began supporting Samford University during the 1960s, after his brother, Dwight Beeson, became involved. As the greatest individual donor in Samford's history, Ralph Waldo Beeson's gifts to the university have provided for the establishment and endowment of Beeson Divinity School, the construction of Beeson Woods residential village, construction and equipment of the building for the School of Education, completion of an addition to the University Center, scholarships to Samford students pursuing ministry careers and much more. Beeson died in 1990, nine days short of his 90th birthday. Following Beeson's death, Samford President Thomas E. Corts called him "a titanic figure in the history of Samford University," adding, "All that Mr. Beeson did, he did out of a sense of profound Christian stewardship." Beeson left the school an estate gift of $54.8 million. Beeson said, "It's the Lord's money. He gave me the gift of making it. I am not smart enough to make that much money on my own. It's His money, and I am going to give it back to Him." At the entrance to Centennial Walk, a bronze statue of Beeson sitting on a park bench bears the following inscription: "In a spirit of love and Christian stewardship he gave away all that he possessed ... to the glory of God. In the halls of this university, and in the hearts of its sons and daughters,the Christian charity of Ralph Waldo Beeson lives on forever." Allen, Lee and Catherine Collection. Beeson Biography Box 2, Folder 21. Samford University, Special Collection. Nunnelly, William. “Samford to Observe Ralph Waldo Beeson Day.” Samford University, 21 Oct. 2003 Web 24 Jan. 2013. Samford University, “Ralph Waldo Beeson, A Remarkable Man Makes A Historic Gift,” Seasons 7 (Winter 1991): 2 – 4.